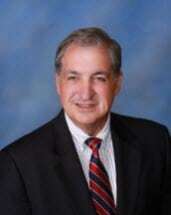 Mr. Bonino has 39 years of experience representing clients in Appellate, Post-trial, Insurance Coverage and Bad Faith cases. He has briefed and argued literally hundreds of appeals. A recent review of the Westlaw data base includes more than 65 cases that resulted in published opinions from the courts of appeal, including opinions from all six of California's appellate districts, from the Ninth Circuit and from the California Supreme Court. This count does not include the proportionately much larger number of cases that resulted in unpublished opinions from the courts of appeal. Privette v. Superior Court (1993) 5 Cal.4th 689 [Doctrine of peculiar risk held inapplicable to employees of subcontractors]; Levinson v. Owens (2009) 176 Cal.App.4th 1534 [Rider thrown from horse, summary judgment in favor of horse owner affirmed on the basis of the assumption of the risk]; Jorge v Culinary Institute (2016) 3 Cal.App.5th 382 [Employee's use of his personal vehicle to travel to off-site work does not render that vehicle a "required vehicle" and as a result the employer is not liable for injuries caused by the employee on his normal drive home]; Paiva v. Nichols (2008) 168 Cal.App.4th 1007 [Denial of anti-SLAPP motion reversed-judgment entered for defendant]; Smith v. State Farm (1992) 5 Cal.App.4th 1104 [stipulated judgment held unenforceable against insurer]; Melton v. Boustred (2010) 183 Cal.App.4th 521 [Invitation to a party posted on Myspace does not impose a duty on the host to protect against physical injuries caused by partygoers]. Recently Mr. Bonino briefed and argued appeals in three cases that resulted in reversals of large plaintiffs' verdicts. Johnson v Oakhurst (E056044-Oct. 2014, Unpublished) [$2,654,976 verdict reversed based on erroneous jury instruction regarding suppression of evidence]; Gonsalves v Li (2015) 232 Cal.App.4th 1406 [$1,208,643 verdict reversed based on prejudicial misconduct of plaintiff's counsel and improper admission of evidence]; and Jorge v Culinary Institute (2016) 3 Cal.App.5th 382; [$855,083 verdict reversed, employee's occasional use of his personal vehicle to travel to off-site work does not render that vehicle a "required vehicle" and as a result the employer is not liable for injuries caused by the employee on his normal drive home]. In addition he is often retained to prepare and argue post-trial motions after the verdicts have been rendered and has tried several bad faith cases to verdict in four different Northern California counties and in the U.S. District Court. Between 2013 and 2016 Mr. Bonino served as a voting member of the California Judicial Council, the constitutional policy-making body of the California courts. He is also a past-president of the Association of Defense Counsel (2009), and past California State Representative for the DRI (2010-2013). Immediately following law school he spent a year working as a law clerk for the Presiding Judge of the San Mateo County Superior Court. Before attending law school he worked on the staff of then-Governor Ronald Reagan.